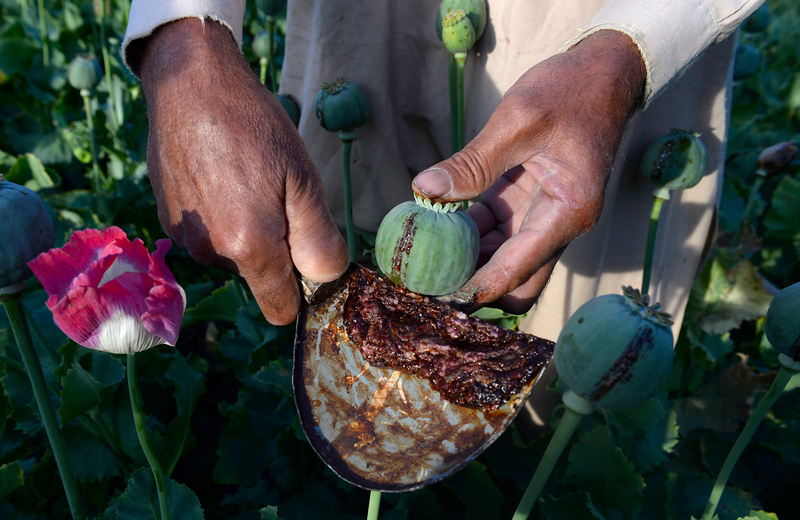 KABUL -- The Taliban, who banned poppy cultivation when they ruled Afghanistan, now appear to wield significant control over the country's heroin production, providing them with a huge influx of cash to fund their activities. The Taliban have long taxed poppy farmers to fund their years-long insurgency, but officials are concerned they are running their own factories that turn the poppy crop into morphine and heroin for export. "The Taliban need more money to run their war machine and buy guns; that's why why they have taken control of drug factories," Sayed Mehdi Kazemi, a spokesman for the Ministry of Counter Narcotics, told AFP. An analyst who advises that ministry and requested anonymity told AFP that an increase in the seizure of chemicals like acid anhydride required for turning opium into morphine, the first step before it becomes heroin, points to an escalation in Taliban drug activity. In early July, he said, 15 tonnes were confiscated in western Afghanistan near the Iranian border, the start of a popular drug route to Europe through Turkey. Seizures of morphine have also increased. Fifty-seven tonnes were discovered in the first half of 2017 compared to 43 tonnes for the whole of 2016, added the analyst, who said that only about 10% of what is produced is actually discovered. The Afghan government and its international allies, seeking to reverse this dangerous trend, developed and started implementing the Afghan National Drug Action Plan (NDAP). 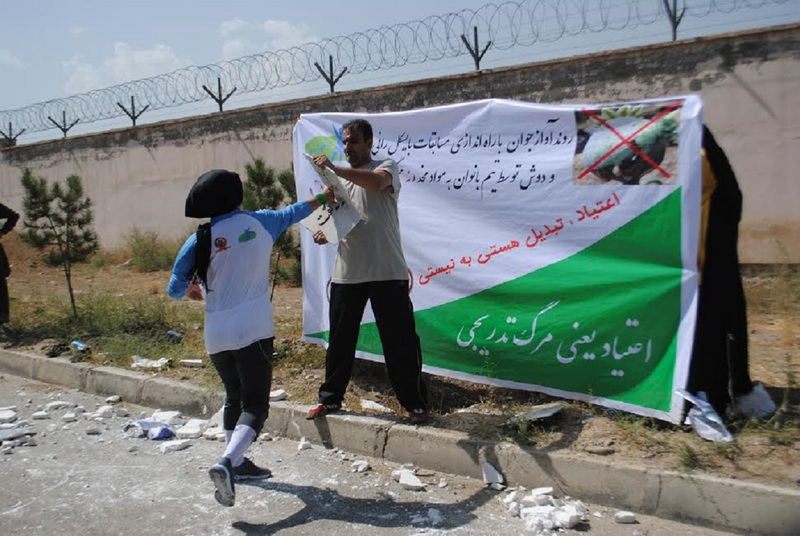 "Following the implementation of this action plan, we can seriously fight the phenomenon of illicit drugs," Mohammad Hanif Danishyar, a spokesman for the Ministry of Counter Narcotics, told Salaam Times. "These objectives [of the plan] include reducing opium poppy cultivation, reducing drug production and trafficking, reducing demand for drugs, strengthening the Counter Narcotics Police, enforcing the law, strengthening the security of Afghanistan's borders, preventing the entry of chemicals used in production of heroin, increasing the capacity of treatment centres for drug addicts, raising public awareness, and supporting farmers and landlords and providing them with livelihoods and alternative agricultural products to replace poppy cultivation," Danishyar said. 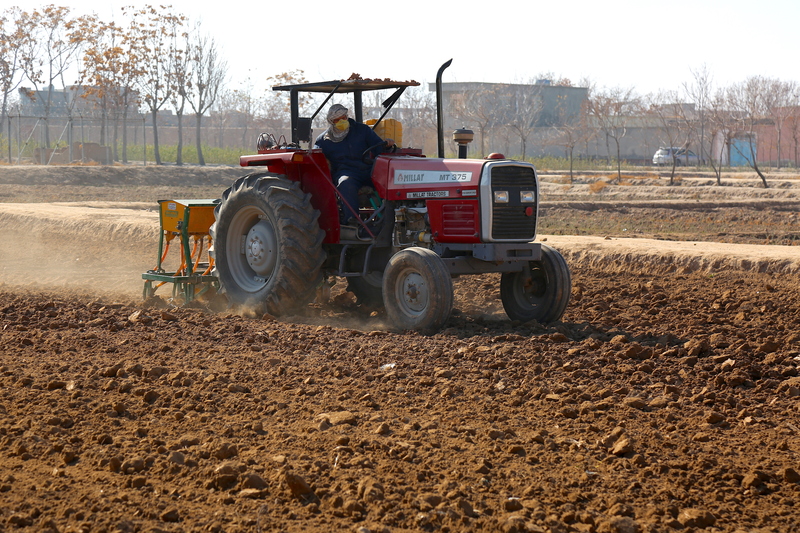 "As soon as poppy cultivation disappears ... the Ministry of Counter Narcotics has plans in place to help and support those farmers conduct legal cultivation," he said. "The ministry will solve water shortages on their farms and construct streets and roads, as well as medical centres and schools." Violence, terrorism and drugs have a symbiotic relationship, say observers. "Profits from Afghan drug trafficking are going to terror groups and drug cartels and not to the farmers and landowners who cultivate them," Hekmatullah Hekmat, a counter narcotics analyst, told Salaam Times. "The monetary value of Afghanistan's drugs is approximately $70 billion [4.8 trillion] per year, 99% of which goes to terror groups and drug traffickers," he said, citing the Counter Narcotics Ministry. "Without proceeds from drug trafficking, the Taliban wouldn't be able to fight for even a month," Hekmat said. "Informing the public about the dangers of drugs and their negative consequences is one way to combat this deadly phenomenon," he said, adding that greater public awareness will reduce the cultivation, production and use of drugs. "If you reduce drug production, the main financial source of terrorists will suffer the most," he said. "When terrorists lack financial support, they can't fight." Drugs are directly related with instability and lack of security, said Abduljabbar Qahraman, an MP representing Helmand Province. "Those regions in Afghanistan with the highest level of drug cultivation and production are also the regions that suffer the most from poor security," he said. "For instance, Helmand is one of the most insecure provinces. [In Helmand], about half of Afghanistan's drugs are cultivated and produced." "The largest Taliban financial source in Helmand is the illicit drug trade. In fact, drugs keep the Taliban war machine active and intact," he said. "Most opium poppy cultivation fields are situated in regions where the Taliban have the upper hand," Qahraman said. "The blight of drugs is a serious threat not only to Afghanistan but also to other countries in the region," Gen. Khodaidad, a former counter narcotics minister, told Salaam Times. "Therefore, it is imperative that all countries in the region and the world fight the phenomena of narcotics, smugglers and terrorists." "One of the ways to combat drugs is public partnership, co-ordination and mobilisation," he said. "People across Afghanistan need to be convinced that an enemy even more hostile than terrorism exists -- illicit drugs." Salaam Time is good program for consciousness time line and also a good program for learning English issues for everyone. Taliban and ISIS are spies of Pakistan and English (Britons). Americans are also not honest when it comes to Taliban. If Americans were honest with Afghans in regards to Taliban, Americans could target and destroy Taliban's leaders in Pakistani military bases in Quetta, Peshawar and in Pendi. Actually, the money that is collected from the pockets of American people and is provided to Pakistan, the same money is spent by Pakistani army and intelligence agency on training Taliban and other terrorists. These trained terrorists in their turn come to Afghanistan and from time to time launch attacks on the international forces and Afghan installations, kill the army men and civilians, destroy schools, and kill the women and children. To eliminate the poppy crops, first the government of America has to eliminate terrorism and to eliminate terrorism from the region, they should press on the throats of Pakistani generals and tell them to become humans, if not, they should immediately send them to Guantanamo jail.